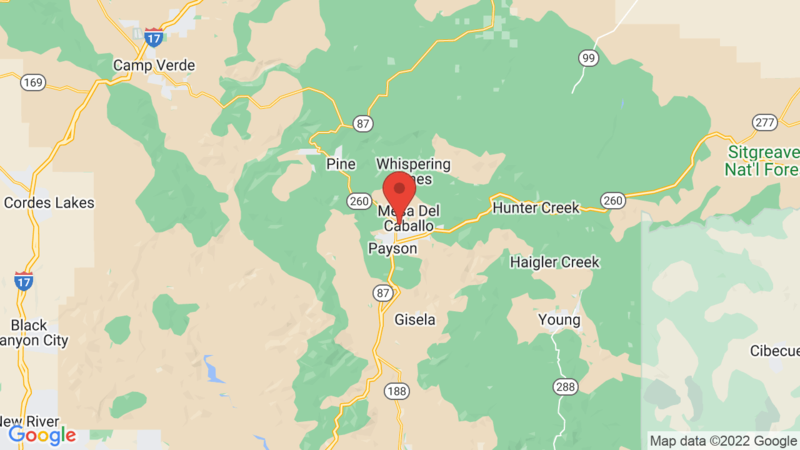 Houston Mesa has 74 campsites and is located just outside of Payson in a forested northern section of Tonto National Forest at an elevation of 5,200 feet. The campground has 29 sites for equestrian-0nly camping, 17 tent-only and 28 mixed-used sites. Campground amenities include drinking water, flush toilets and showers ($). Each campsite also has a table, fire ring and grate. The horse camping section (Mule Deer Loop) is across the street from the main campground and features 29 individual sites with tables and grills. Corrals are also available. Campers who reserve these sites must have horses or mules. Outdoor activities include horseback riding, hiking, mountain biking, picnicking and stargazing. Wildlife viewing is also pretty nice here. You may also be interested in Ponderosa campground. It’s located about 15 miles east on AZ-260. Visted Houston Mesa Campground lately? We'd love to hear about your adventure. Did you find us useful? Did we forget something? Anything our community should know before heading out to Houston Mesa? Both times we went to Houston Mesa which was the 4th of Sept and the 10th were great times! We stayed in the Black Bear Tent Only Section. On the 4th we stayed at site 005 which is very private and though the website will say full shade it’s not. The 10th we stayed at site 23B and very pleased with it. More shade. The bathrooms are flush toilets which is nice. Be warned if you make a left out of the campground to go up to fishing the bathrooms there are outhouses and they are FULL OF FLIES! Bring your own toilet paper to those bathrooms. The bathrooms at the campgrounds are clean and well maintained. We had an occasion to use the showers and they are $2 for 6 minutes and you should have plenty of time. I enjoy the self pay system and the staff there is very nice. Each site has its own table and fire pit. I’m not sure about electricity for RV’s as we only had tents and no electricity was available. It’s very nice to be able to look up into the sky at night and see the stars. If you’re up early enough you will probably see an Elk or two walking the grounds which is pretty cool. BRING AN AIR MATTRESS. Oh and don’t forget to stop at the Bee Line Cafe on your way out of town. They have the best food ever! Burgers are great and so is breakfast. It’s a short trip from Phoenix and worth it.